We are sad to report the death of transport enthusiast David Hunter, who passed away at Whipps Cross Hospital on 26th May after a short illness. David who lived in Loughton Essex, was well known for attending rail and bus events throughout the UK and Europe. 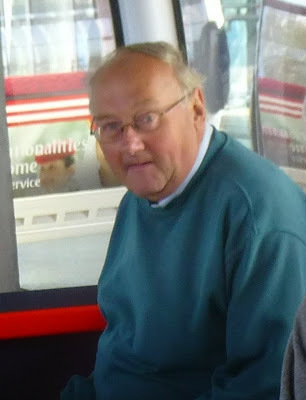 In recent years he had retired from his job with Network Rail, allowing him to step up his travels to many events where he was to be seen quietly observing the scene and chatting to the many people that he knew. He was always willing to give support and get involved if asked to do so and was a regular attendee to the Kirkby Stephen Easter Rally, where he usually acted as a bus conductor. He was always my guide when I visited London, his encyclopedic knowledge of London's buses trains and trams allowing us to move efficiently around the capital and to minimise travel times. He was a real gentleman and ultra polite and even though he was supposed to be leading me around he was always stepping back to allow me to go first.